Crashendo! is Launched at Laverton! Unique in Australia - Crashendo! enables children in disadvantaged communities to partake in a rich and powerful music program, specifically in instrument- and choir-based music in the context of an orchestra and ensemble. Based on the world-renowned “El Sistema” music program in Venezuela, in Crashendo! the music process is simple yet powerful. We build orchestras and choirs by taking children on a musical journey. This takes them from little or no knowledge of music, to being capable, good musicians who not only can play instruments and sing, but in the context of a community of musicians– the orchestra and choir. It subtly develops teamwork, self-esteem, patience, discipline, respect, focus, concentration, and all the while building a musician out of the child. Learning to play a musical instrument and experiencing music through playing and singing also significantly helps a developing child's brain cognitively. It is also understood to enhance children's abilities in other areas of learning - particularly in reading, arithmetic calculations, and in memory. Learning read music and playing an instrument strongly develops the powers of concentration too. Music is a powerful tool and something which is vital to our development as entire, well adjusted and intelligent human beings. Venezuela’s music system, El Sistema, has challenged the music education world with its extraordinary program – teaching instrument-based music to children from its slums: the Barrios. Developed as a social-action program for children and youth, it not only produces joy and harmony in the Barrios children, but develops remarkable fine musicians in the process. Programs have spread to over twenty countries around the world, and now the first Australian El Sistema-based program has commenced. Sistema Australia is working with Laverton P-12 College in the Hobsons Bay district of Melbourne, in partnership with Victoria Police from Hobsons Bay Police Service Area, Hobsons Bay City Council and Hobsons Bay Cultural Development Program to deliver a three-day a week, 2-hour per day, after-school pilot music program to 30 lower primary school children, which will be integrated over time into the entire school, once the pilot demonstrates its success. Funding is confirmed for the first year of operation (2011). The Laverton program will be entirely free for the children enrolled, and the community as a whole will be integrated with the program – including the parents and other wider community membership. The school itself is tremendously enthusiastic about the project and is well supported within its community. It includes a succession of instruments, leading to the development of a children’s symphony orchestra, bands and choirs. The first event in the program was a presentation of the program, including a short musical performance presented by the tutors, to the children invited to join, their parents and the wider Laverton community. The pilot phase commences with 30 children and be expanded to the rest of the children in the school community as it is developed. The Venezuelan Embassy had arranged for Kenneth to visit the school in Melbourne, and flew him, his uncle, who lives in Australia and the Cultural Attache from the Venezuelan Embassy down to Melbourne. Jeff Bell, the wonderful Principal of Laverton College, had organised, in response to this visit, to move the full school assembly from Friday to Wednesday to allow for Kenneth to play for the school and for us to meet the school community – which ranges in age from 6-19, and from dozens and dozens of cultural and ethnic backgrounds. Laverton College embraces a wonderful multicultural diversity within its student community and the wider community of Laverton. Jeff introduced us all, and I gave a short speech about the program we are establishing – then I introduced Kenneth Jones-Madrid. He played a beautiful and complex piece of Bach ( if you want to hear the music, not as played by Kenneth, but the same piece, here ). His performance went for about 6-7 minutes. I was watching the faces of the 600 kids and young people as they watched him and listened to him playing. Most were spellbound, some pretending not to be, but all was as quiet as quiet. And still. As Kenneth finished… the hall erupted into loud and continuous applause, woohooing, whistling and even a bit of screaming! It was like the kind of reception you’d get for a rock-star! He played another short piece as an encore and the same again. In fact the applause kept coming back. Several teachers said they had never seen such a reaction from the school before. I certainly wasn’t expecting it – and nor was Kenneth; he said he hadn’t experienced that before from an audience! This is so tremendously encouraging, because it means the kids are quite wonderfully accepting of such music, and the program has been boosted by such a reaction. The kids were invited to ask questions for the last five minutes and really asked some very good ones! Even Jeff was impressed by them! Considerable thanks to Jeff and Steve and the other teachers for organising this at such short notice. And thanks for looking after the Venezuelans so well – they were very touched and impressed by the school and its hospitality. As was I! The system has now been established throughout Venezuela and is open to all communities – to any child wishing to participate, committing to practice and to learn. There are now over 350,000 children engaged in this program. In addition it has now spread to 25 other countries around the world including the USA, England, Scotland and Canada– successfully. Influenced by this tremendous success and the creation of such a wonderful music system in Venezuela, a group of Australian musicians, music educators and interested others have decided to create an Australian version – to provide a joyous music education program for Australian children. It will focus primarily on those less fortunate communities in Australia but eventually will extend to all Australian children who want to learn and play music. As a community-based program it engages the child, the parent and the community as a whole, in its process. It is important on so many levels to give children music– Music gives children a boost to their humanity, to their ability to relate positively with others and their community. It helps build their self-confidence and their ability to imagine and realise good futures, to follow their passions and be ultimately successful. Why? Because it is through the rigours of music, learning to sing and to play an instrument with others in an ensemble that we learn about ourselves – and in the context of others, we learn what it is to strive for something beautiful and difficult. We learn inestimable ‘joy’ and avoid future pain and suffering from the lack of such experiences and qualities in our society. Laverton P-12 College’s students are from a low socio-economic area and their readiness to learn is affected by a range of circumstances including lack of preschool experiences, family unemployment and other challenging welfare issues. Many students are at risk of not achieving success at school due to poor literacy skills. Many of the parents have poor literacy skills themselves. There are 32 different languages making up 179 of their students. A large and increasing ESL group including new arrivals from the Burmese/Karen community are at greater risk. Many children are at long term risk of disassociation, drugs, alcoholism and criminal activity. Provides tailored instrument-based music/social education programs developing orchestras and choirs for disadvantaged children. Arts and Culture Unit and Laverton Community Renewal work with the community to resolve issues that impact on access and participation, to promote and enhance community pride and sense of belonging and assist in delivering annual community cultural development projects. Laverton Community Renewal is a state government initiative addressing issues of social disadvantage faced by the residents of the community of Laverton and will support Laverton P-12 Music program through active participation on working group and through communication and marketing. Hobsons Bay Police acts as a community leader, providing in-kind support for the program including involvement of police on a regular and casual basis to attend programs and, one or more of the three Victoria Police Bands as a resource for the project. 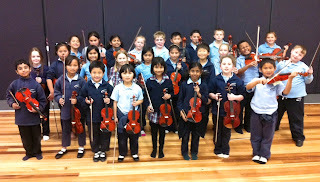 Partnering with Sistema Australia, the Victorian Police Community Liaison, Hobsons Bay Council and Laverton Community Renewal, gives the school a wonderful and powerful opportunity to engage many children, bringing them to work together in ‘concert’ as members of orchestras and choirs which meet and act as little communities. They are also about discipline, teamwork and fun, without the penalty and fear of further loss, failure, and or violence that is often associated with their society and young lives. The program is being developed exclusively for Laverton P-12 College. It will be run initially as a 3-day per week after-school program – free to the children. The Principal of the school, Jeff Bell is completely and enthusiastically behind it, and wants to extend it from the initial pilot of 50-100 kids, to the whole school eventually. Along with these, there are several other organisations and individuals who are assisting in various ways, including the Melbourne Symphony Orchestra (free concerts for the children in the Laverton project), Richard Tognetti and the Australian Chamber Orchestra (school visits and concerts), Jonathon Welch and the Choir of Hope and Inspiration/Choir of Hard Knocks (choir and singing workshops), the Victorian Police Band (wind and brass workshops), and several other prominent Australian and international musicians. We are also commissioning a film production company to make a documentary of the progress of this program. The Venezuelan Embassy has also pledged to help with liaison with the Venezuelan headquarters of El Sistema and Maestro Abreu himself has signaled that they will do what they can, to help us with our program. It is early days, but the first year of the program is fully funded, by Sistema Australia, Victoria Police Community Programs, and the Hobsons Bay Council ~ $75,000. So far (including the Laverton project), Sistema Australia has contributed over $100,000 in developing it. External funding will be required to maintain and expand it as it progresses. Sistema Australia is working with Laverton P-12 College in the Hobsons Bay district of Melbourne, in partnership with the Victoria Police Community Liaison, Hobsons Bay Council, and the Hobsons Bay Cultural Development Program to deliver a three-day a week, 2-hour per day, after-school pilot music program to 50-100 lower primary school children, which will be integrated over time into the entire school, once the pilot demonstrates its success. Funding is confirmed for the first year of operation (2011). Whilst not entirely equivalent to the Venezuelan Barros, Laverton is a low socio-economic area with many of the Laverton students at risk of not achieving success at school due to poor literacy skills . Music is seen as an important introduction as it has had influences in transforming children in the areas of literacy, numeracy and in cognitive development. The Laverton Community is one of three Regeneration Projects across the state – Laverton P-12 College will be the hub of the community. The Laverton program will be entirely free for the children enrolled, and the community as a whole will be integrated with the program – including the parents and other wider community membership. The school itself is tremendously enthusiastic about the project and is well supported within its community. It includes a succession of instruments, leading to the development of a children’s symphony orchestra and choir. 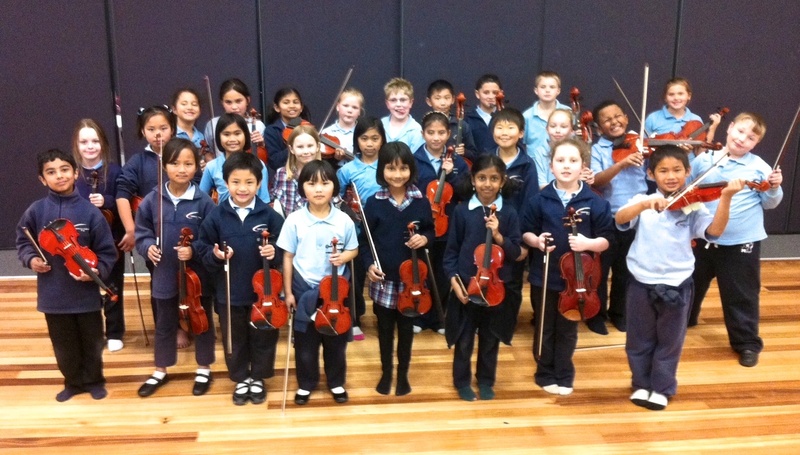 Sistema Australia is in the process of securing tutors and teachers to support the program – these are paid positions, although we also keen to develop a volunteer program, for professional musicians to visit the school and program. We are very keen to enlist the wider support of Australia’s premier artists, ensembles and music organisations in working with the Laverton children and program. Several have already expressed a commitment to working with the project. Integrated with this program will be a visit program to Melbourne Symphony Orchestra concerts for 100 children, very generously provided by the MSO’s Education program. We are also looking to engage the services of an Australian university to monitor and record the progress of the pilot and program, so that we can establish the true empirical, intrinsic and extrinsic value of what we will be doing. This will hopefully provide real data and supporting evidence for the value of such a program. Based on the process and structure of El Sistema in Venezuela, the Laverton program will also be given input from the State Foundation for the National System of Youth and Children’s Orchestras of Venezuela – FESNOJIV – to assist with its development. As a part of that Sistema representatives, have been invited by FESNOJIV to visit Venezuela to experience El Sistema first-hand, touring their ‘Nucleos’ (music schools), and to meet with them about the development of the Sistema-based programs in Australia. This is set to take place in November 2010, as a part of their International Visit Program. Our next project will be to find a similar school in NSW to establish another pilot there – and then to other states as we can. With at least 500,000 children, or 11.6 per cent of Australians under the age of 18, estimated to be living in disadvantage and poverty, there is much musical work to be done! And it's never at the expense of kids from affluent homes, is it? Instead of investing in our most vulnerable kids to make them the leaders we need to improve our community, we ignore them, we push them away and then when they get in trouble, we lock them up. It doesn't make sense, and fundamentally, it's not cost-effective. I'm a fiscal conservative and it's a waste of money and it's a waste of talent and lives. Violence knows no zip code. We get what we pay for when it comes to our communities. When we don't invest in our communities, well you see what we have . . . It’s actually cheaper and more effective to address and head off problems while they are developing than try to deal with them after they'd developed. We just don't tend to think or work that way in this country. But if we play our cards right and are able to deliver our programs, perhaps we will be able to deliver a sea change in that regard." - Margaret Martin, Harmony Project, Los Angeles. This was written about the American processes, but it could so easily have been written right here in Australia, about ours. This is fundamentally what arts programs should be about. Not for the affluent alone, but for all. And it starts with kids. With programs such as 'El Sistema' – the amazing Venezuelan music education system. So when I am asked why do we need a comprehensive instrumental and choral music education program here in Australia, I think like Margaret Martin – because it is important on so many levels to give children music – to inspire in them a future, and not necessarily in music. Music gives children a boost to their humanity, to their ability to relate positively with others and their community. It helps build their self-confidence and their ability to imagine and realise good futures, to follow their passions and be ultimately successful. Why? Because it is through the rigours of music, learning to sing and to play an instrument with others in an ensemble that we learn about ourselves – and in the context of others, we learn what it is to strive for something beautiful and difficult. We learn inestimable 'joy'. And we avoid future pain and suffering from the lack of such experiences and qualities in our society. One of the most powerful ways to ensure the best possible outcome for the children and for the community as a whole, is to introduce a comprehensive instrumental and choral music education system based upon the hugely successful 'El Sistema' music project in Venezuela, South America . Tested and successful, this project has been running for over 35 years. 'El Sistema' – 'The System' is a free and inclusive immersion music education program for children, built around the teaching of music via instruments, singing and movement within the context of the symphony orchestra and choir. It was devised to create a system for social action, in that it was created to socialise and instil a culture of joy and imagination in disadvantaged, depressed communities – principally amongst the children of those communities and thence into the communities as a whole – to empower their minds, improve their belief in themselves and to inspire them to lead successful, fulfilling lives. As fantastic as it is, it is nothing more nor nothing less than a sound, well supported, systematic music education process, which uses modern and old techniques of music tuition, with an unbreakable belief in the capability of children not only to master music and its performance to a high standard, but to see and treat them as highly capable people – and to instil that in them; always encouraging and never berating. The system has now been established throughout Venezuela and is open to all communities – to any child wishing to participate, committing to practice and to learn. In addition it has now spread to 25 other countries around the world including the USA, England, Scotland and Canada. And it really works – in creating happy joyous and competent children, in producing many very good musicians and so much wonderful artistry.